Does Resveratrol Diminish the Positive Effects of Exercise? Home » Food and Nutrition » Does Resveratrol Diminish the Positive Effects of Exercise? 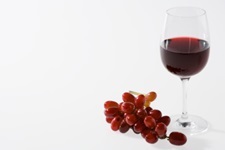 Resveratrol is a polyphenolic compound found in the skins and seeds of red grapes. It can also be found in other fruits and plant root structures. Resveratrol is related to the proanthocyanidin family of chemicals which previous research has shown to be quite helpful in the management of various chronic diseases such as heart disease, diabetes, peripheral vascular disease, and stroke. Like the large family of chemicals which represents proanthocyanidins, resveratrol has a great deal of biochemical similarity including providing a great deal of antioxidant protection. It has been previously shown that this compound can lower inflammation, decrease blood sugar, and improve artery wall function. Resveratrol has also been evaluated for the effects it has upon skeletal muscle during and after exercise. Apparently, this compound has previously shown some positive effects upon skeletal muscle which may lend some credence to the fact that it could be used as an ergogenic aid. However, recent evidence has refuted the positive effects that resveratrol could have upon an individual whom exercises. The study was published in the Journal of Physiology and evaluated the effects that resveratrol could have upon the exercise response in 27 inactive but otherwise healthy, older adult men. The average age of the participants was 65 years. The participants were randomly placed into two groups. The first group was given 250 mg of resveratrol and group two was given a placebo pill. The participants participated in an eight week trial of vigorous exercise sessions three times per week. The nature of the exercise is unknown. The participants were then subjected to a battery of tests which evaluated levels of fitness and cardiovascular risk factors. The results of the study indicated that most of the beneficial effects that exercise had upon the placebo group were not apparent in the group receiving the resveratrol. According to the author, Lasse Gliemann, “Exercise training effectively improves several cardiovascular health parameters in aged men, [but] resveratrol supplementation blunts most of these effects.” Of course, this finding runs counter to the previous research findings in human and animal models. According to Dr. H. Hausenblas, this study has a few serious flaws. Firstly, if you look at all the comparisons between the two groups, most of the variables that were measured and compared indicated no differences between each group. Secondly, the researchers indicated that LDL cholesterol was lower in the placebo group after the exercise sessions. However, the difference was only 0.1 mmol/L, which is not statistically significant. Thirdly, the researchers reported that the resveratrol group had an average maximum oxygen uptake value which was 45% lower than the placebo group. However, upon closer inspection, the percentage improvement was a mere 4.4%. Lastly, the Harvard step test score, which is a measure of aerobic fitness, was given to each group after the eight week trial. The resveratrol group showed an improvement of 86% compared to the placebo group! My thoughts are that the results of this study need to be considered very carefully as there are some serious flaws and bias in the study which draws it into question. For example, consider the fact that the trial was only eight weeks long, the sample size was quite small at 27, there was no information regarding the nature of the exercise regimen, and the statistical power seems quite suspect. Previous research regarding resveratrol and exercise has shown that this compound can reduce muscle inflammation and decrease free radical accumulation. It has also shown this compound to be safe and effective if the recommended dosages are consumed. “Does resveratrol blunt the benefits of exercise?” Natural Medicine Journal web site; http://www.naturalmedicinejournal.com/article_content.asp?edition=1&section=4&article=453, last accessed Sept. 5, 2013. Gliemann, et al,.“Resveratrol blunts the positive effects of exercise training on cardiovascular health in aged men,”The Journal of Physiology.Published online July 22, 2013. Malaguti, M., et al., “Polyphenols in exercise performance and prevention of exercise-induced muscle damage,” Oxid Med Cell Longev2013: 825928. McAnulty, L.S., et al.,“Effect of resveratrol and quercetin supplementation on redox status and inflammation after exercise,”ApplPhysiolNutrMetab.July 2013;38(7): 760-5.